Musical Reflections offers two Christmas CDs for your listening pleasure. The heartfelt sounds of harp, flute, and violin on Christmas Music for Tranquility will surely add a touch of grace and serenity to your Christmas preparation and celebration. 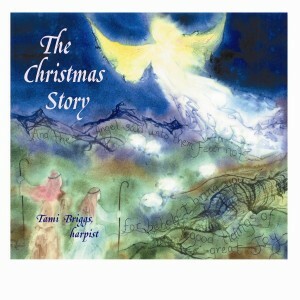 This solo harp CD tells the Christmas story in a relaxing, peaceful way. All instrumental music, it is certain to bring calm to you during your holiday preparation. “This CD includes all my favorite traditional Christmas carols, plus some that are infrequently played anymore. I love them all!